My layout was inspired by this cover of Scrapbooks Etc. Have you ever seen a layout that you just had to duplicate in some way? Well this was one of them. 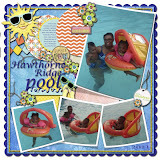 I had this great photo of my daughter, granddaughter and I and thought this layout would be wonderful. 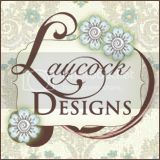 This is a mini layout that I will later turn into a 12x12 layout but this was so much fun to do using Stampin Up! Big Shotz Beautiful Butterfly Die. Using SU new Window Sheets I was able to layer my butterflies to give them wings to simulate flight. I love the look of the transparency and the multiple sheets of paper. The dimension was great. Unfortunately, the photo doesn't do this layout justice. Sorry. I added wire for the butterfly's antennas and just a touch of Stickles on the edges. Dimensionals were used to pop these beautiful butterflies off the page. Almost looks like little Jaida is watching them fly away. ohhh... so cute.... very nice card with butterflies! 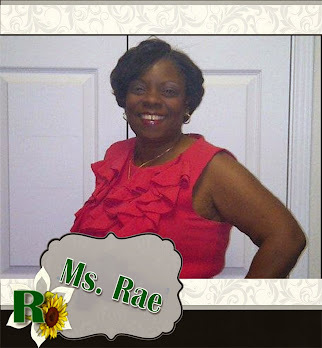 Ooowei, Ms. Rae, this is gorgeous. I tell yah girl, I am getting so many ideas from our group that I can't make up my mind what layout to case for my next classes! So far (counting yours), I have to schedule 2 classes every week in June to accommodate all the cases. This one is right at the top of the list! The butterflies and DSP go together perfectly! Very pretty LO. Ms.Rae, I love this page! Your daughter and granddaughter are just beautiful. I only have grandsons. I want a granddaughter! Maybe the next one will be. 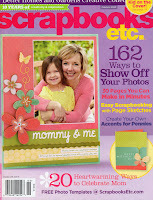 Wonderful page, I have been wanting to get some more scrapping done of my daughter and this idea is perfect! thanks for the inspiration! Love the page, the butterflies are wonderful. Your family is beautiful.